I received my $75 Visa gift card today (19 Oct). When I contacted their marketing department, they wrote back saying it will arrive 6 weeks after check out. This took a little longer than 6 weeks, but hey, at least it’s here! With some luck, I will be in Panama City during the promotion period, and the Waldorf Astoria Panama City is included in the list of hotels. 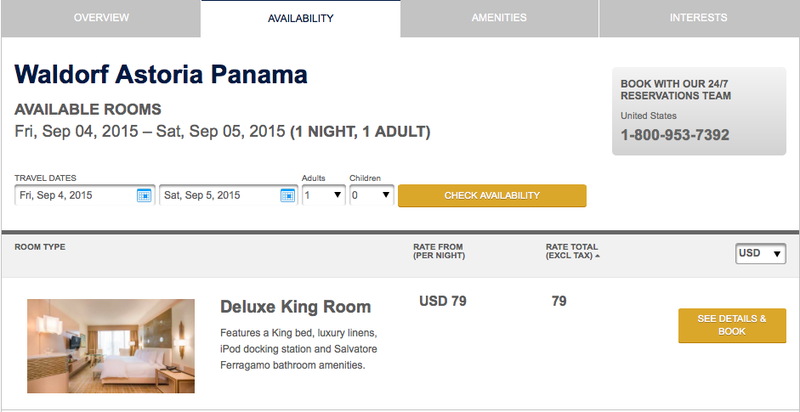 I went online to check the rates, and some nights are going for 79USD + taxes (with taxes = 87 USD). As it is also eligible for Visa Signature benefits, some of the benefits include free breakfast, and a 25USD F&B credit. At the end of the day, I will actually come up on top with about 13USD. Not too bad for an evening of googling eh? I will update if I do indeed get my 75USD Visa gift card in the mail when I get back from the trip. Note: Do read the T&C carefully. You can only get one gift card for each household, regardless of the number of Visa Signature cards that you have. 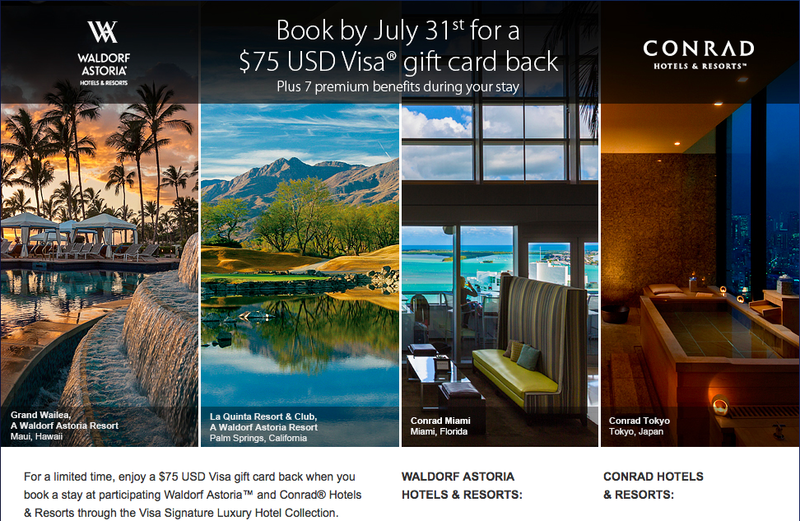 Pictures are screen captures from Visa Signature Hotels website. 😀 More money for more travels!